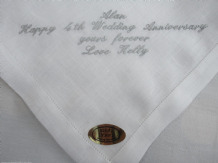 Personalised Handkerchief, wedding, anniversary, birthday gift. 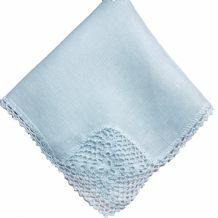 100% cotton with delicate cotton lace trim. 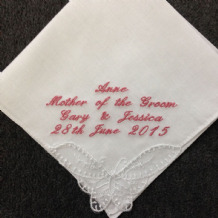 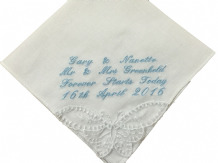 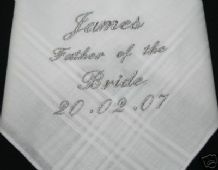 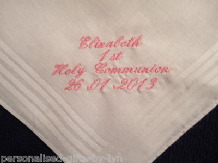 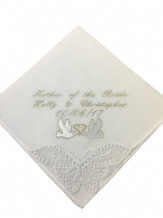 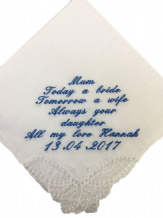 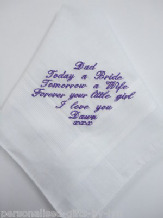 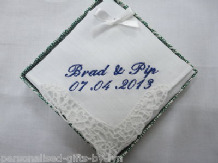 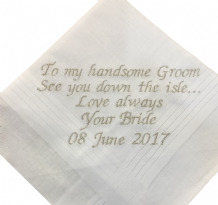 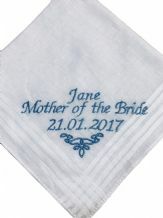 Personalised Handkerchief, wedding, brides mother gift. 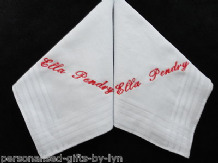 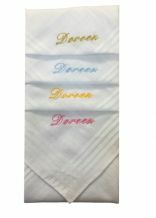 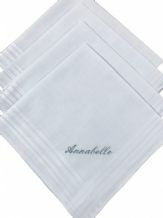 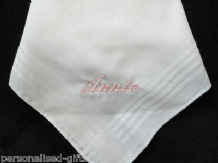 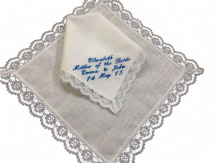 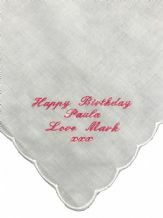 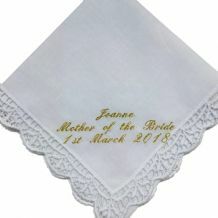 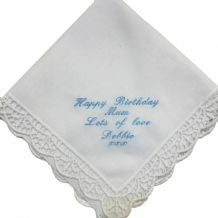 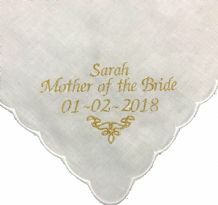 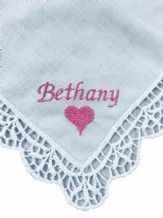 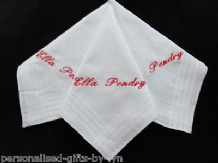 Ladies Personalised Handkerchief with lace corner. 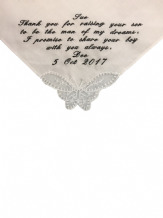 Personalised Handkerchief, Dad to remember the day you gave me away..
Personalised Handkerchief, bride, wedding, mother gift. 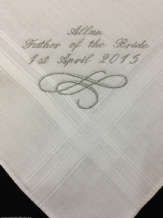 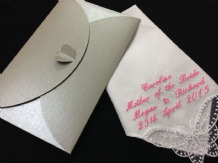 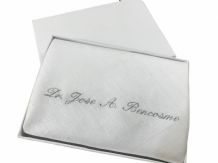 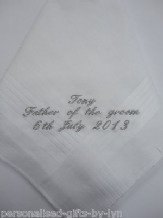 Gents Personalised Handkerchief, father of the bride. 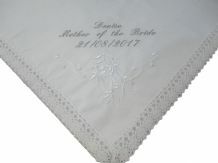 Ladies Cotton Handkerchief with lace butterfly in one corner. 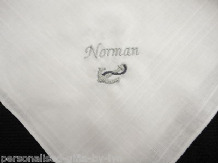 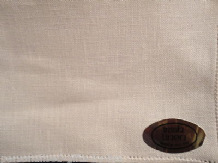 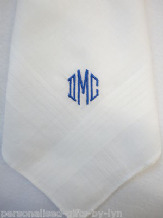 Personalised Handkerchief with Anchor design. 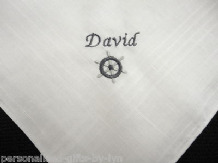 Personalised Handkerchief with Boat Wheel design. 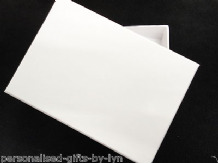 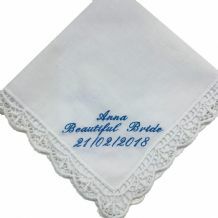 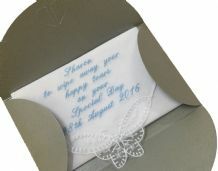 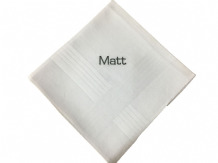 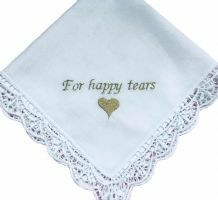 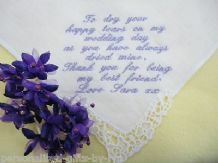 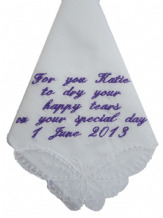 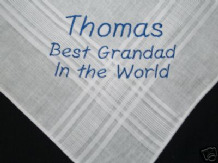 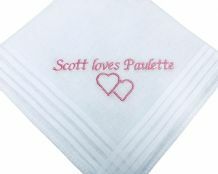 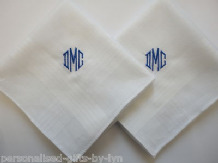 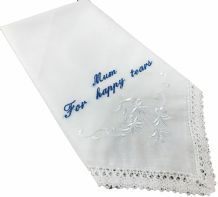 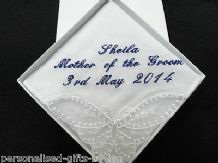 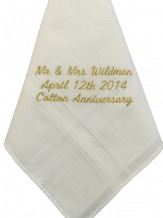 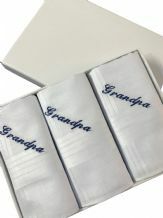 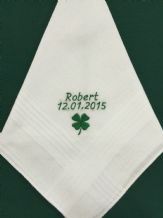 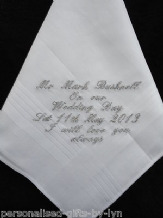 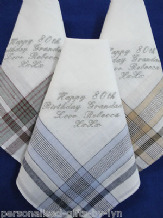 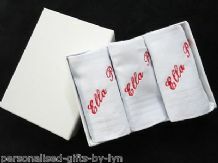 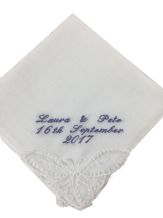 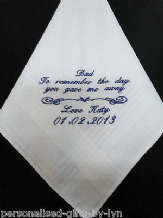 Personalised Handkerchief with Bowls design. 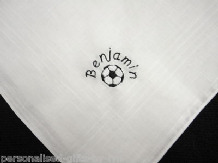 Personalised Handkerchief with Football design. 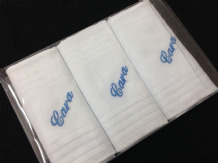 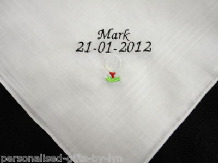 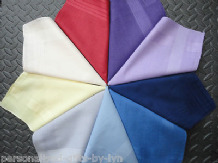 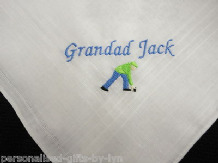 Personalised Handkerchief with golf ball design. 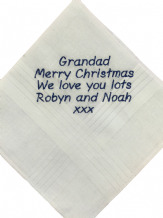 © Copyright Lyns Personalised Gifts All rights reserved.